I've never liked full strength juices as I find them sickly sweet. So my kids have always had their juice diluted. 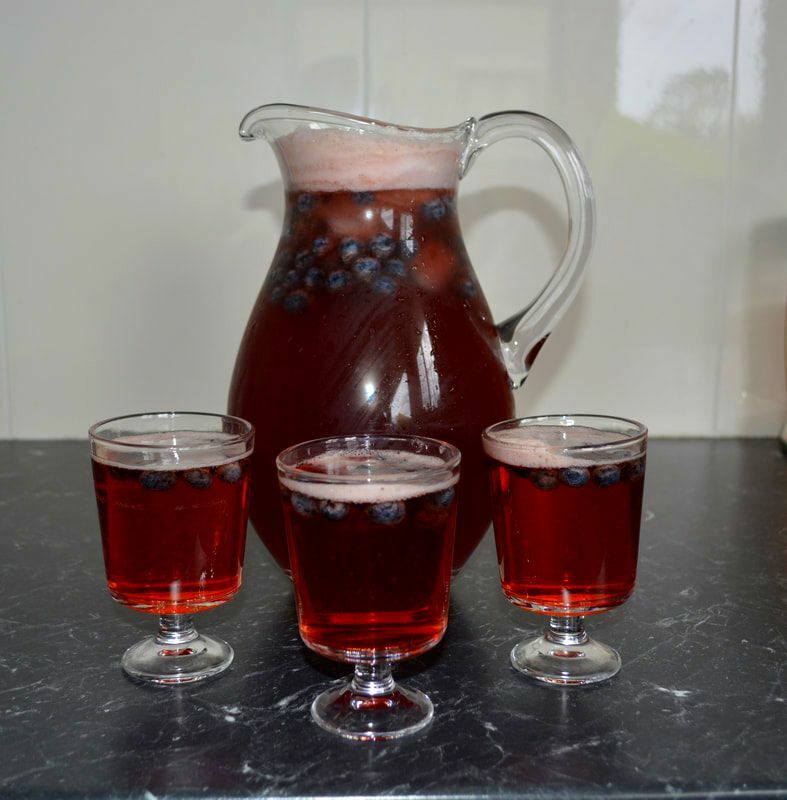 This is a perfect way to serve juice diluted, the bubbles from the soda water make it special, and the blueberries add a lovely flavour to it, the kids will never care that it is not full strength. There is a tablespoon of added sugar in this, as sometimes blueberries can be tart. It is optional. Also you can pass the blended juice through a sieve so no 'bits' of blueberries can be seen, I do it sometimes, if it is for a party, but my kids don't care if there is pulp, so I sometimes leave it in. Here is a party drink that you can serve at your next kids party, easy and diluted so a win win for me. In a small food processor add the blueberries, sugar and 250ml of the apple and blackcurrant juice. Blitz until smooth. To a large jug add the blueberry mix (sieved if you like), the remaining 500ml of apple and blackcurrant juice and the soda water.